Strengthening its commitment to bring smart, quiet and easy-to-install garage door openers to homeowners everywhere, Nortek Security & Control LLC (NSC) today announced that it is now shipping its new line of Mighty Mule® Automatic Garage Door Openers. Available now on its online store and through Amazon and Home Depot, the line leverages NSC’s home automation technology in its new smartphone app for control from anywhere. 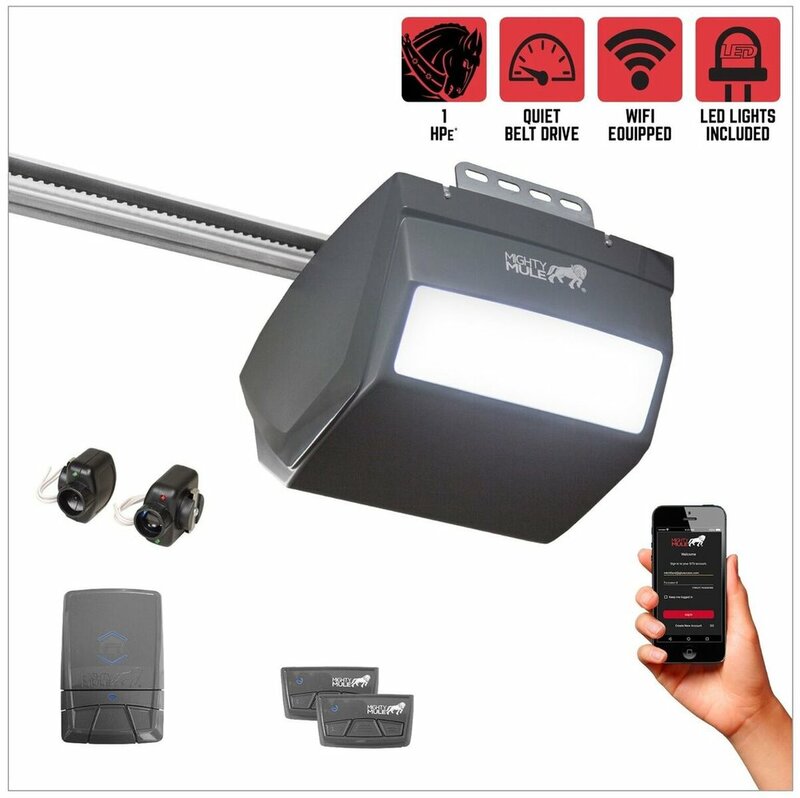 Each new Automatic Garage Door Opener incorporates a new slim design enabled in part by the space-saving built-in LED lighting, and the lighting is protected with a lifetime warranty. Additionally, Mighty Mule’s smart technology allows for control anywhere with a Mighty Mule MMW200 wall station, and is compatible with Amazon Alexa, Google Assistant, and IFTTT control. The MM9545M model includes one MMW200 wall station, two transmitters that are compatible with Mighty Mule® Automatic Gate Openers, a MMK100 Keypad, 7’ Belt Rail, and built-in battery back-up. It also includes a 1-1/4 HPe (horsepower equivalent) DC motor with a steel reinforced belt drive for super quiet operation. The triple LED has a lifetime warranty and is dimmable to adjust the brightness. Remote entry and monitoring can be granted utilizing the transmitters, wireless keypad, the Mighty Mule app, and voice skills. The MM9434K model includes one MMW200 wall station, two transmitters that are compatible with Mighty Mule Automatic Gate Openers, and a 7’ Belt Rail. It’s equipped with a 1 HPe DC motor with a steel-reinforced belt drive for super quiet operation. Equipped with dual LED, remote entry can be granted utilizing the transmitters, the Mighty Mule app and voice skills. The MM9333H model includes one MMW100 wall station, two transmitters that are compatible with Mighty Mule Automatic Gate Openers, a MMK100 Keypad, and a 7’ Belt Rail. It’s equipped with a ¾ HPe DC motor with a steel reinforced belt drive for super quiet operation. The single LED has a lifetime warranty and is dimmable to adjust the brightness. Remote entry can be granted utilizing the transmitters or a wireless keypad. For additional remote access from anywhere, this model can be upgraded to use the Mighty Mule platform with the purchase of a MMW200 wall station. Learn more at www.mightymule.com. For additional images, click here.